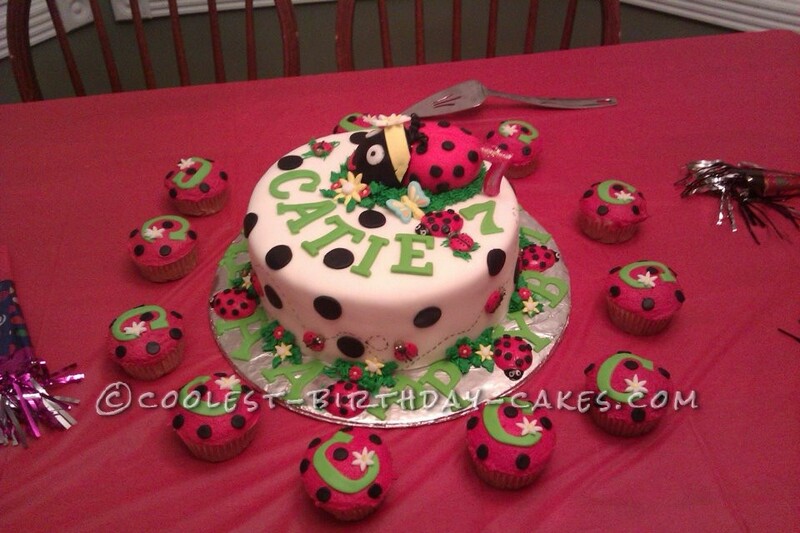 I made this Ladybug birthday cake and Ladybug cupcakes for my grand daughter for her birthday. I used fondant for the lady bug. I baked a two layer, covered it in fondant. I used a small round cutter to make dots. I bought a candy mold of lady bugs to make the smaller lady bugs out of fondant. The eyes and bow were cut out of fondant and the flowers were cut with a flower cutter out of fondant.